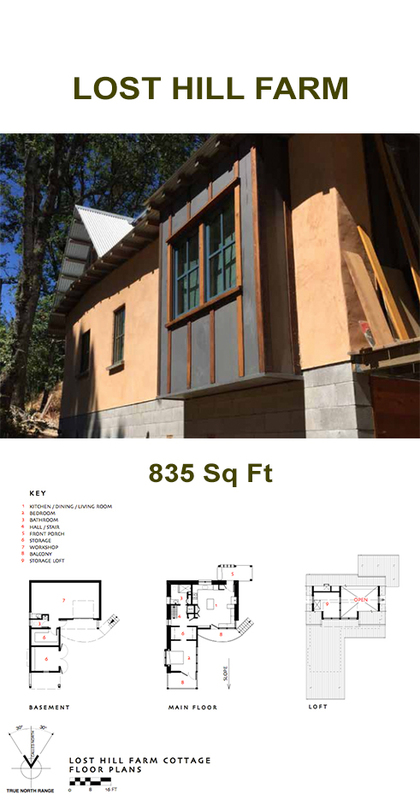 This 1474 sf home was designed to be built over a 681 sf walk-out basement workshop, but it can easily be built as a single story 1 bedroom (plus loft), 1 bathroom, 793 sf cottage. 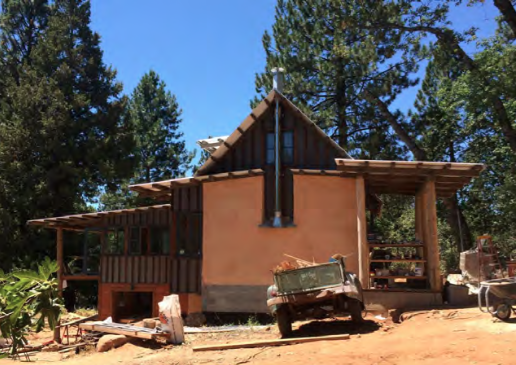 It’s traditional L-shape design was created to fit its historic Nevada City, California site; however, it will be at home in nearly any setting. The combination of siding types adds great character to an already interesting cottage home. 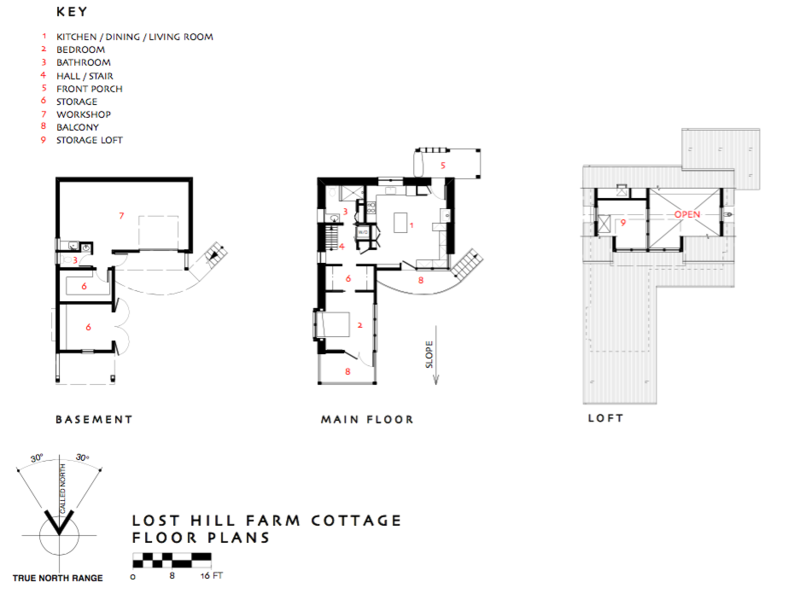 The original Lost Hill Farm Cottage project is set to reach completion in late 2015. It sits well on a site that is sloping significantly toward the east and/or south, but as noted will also work as a single story structure on a flattish site.